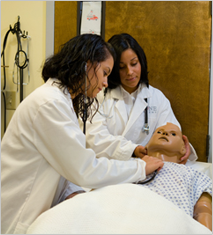 One of the Top Nursing Assistant Programs in CT! This 125-hour program will focus on the bare essentials that are necessary to sit for the State of Connecticut CNA certification exam. Full and part-time schedules allow students to finish their program in as little as 4 weeks. Graduates of this program will be able to find employment in long-term care facilities and will work under the supervision of a Licensed Practical Nurse or a Registered Nurse. The advanced CNA program, referred to as the Patient Care Specialist program, provides instruction that will allow graduates to work in expanded functions. While the program will cover the 25 basic nursing assistant skills required to sit for the certification exam, students will also receive instruction in the areas of dementia and Alzheimer’s care, recreational therapy, home health care, physical therapy and anatomy and physiology. These additional subjects will provide a solid foundation for students looking to advance into the field of nursing. Graduates of this program will be able to find employment in long-term care facilities, hospitals, private duty assignments, rehabilitative care facilities. What are the job opportunities for graduates?